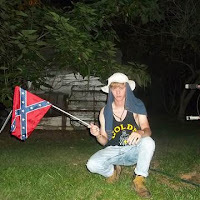 The Confederate Flag Of The South Carolina Capitol Has Been Taken Down !!!! BHR Hollywood Reports.........It was first used in battle, with Southerners rallying around it in their quest to break apart from the United States. More recently, the Confederate battle flag has been the focal point of a different fight -- over whether it should still fly anywhere, given that it symbolizes to many the horrors of slavery. Today outside South Carolina's State House at least, that fight came to an end. 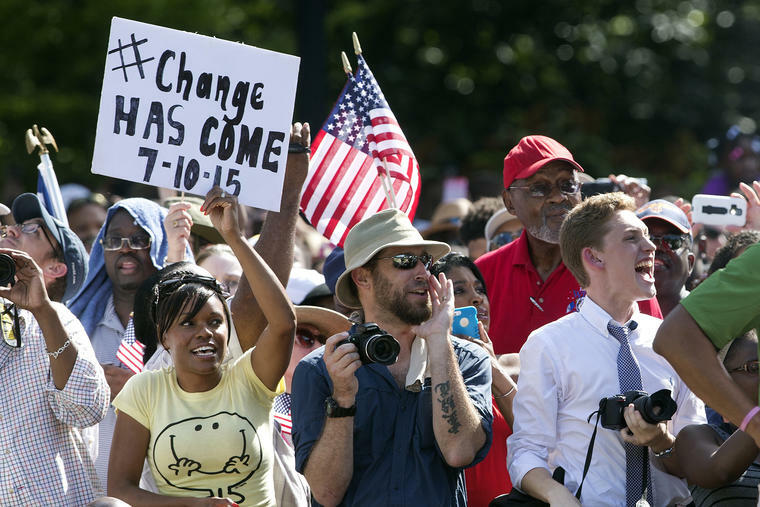 A roar went up from those gathered — estimated to be between 8,000 and 10,000 strong — as the stars and bars were lowered. Chants of “take it down” morphed into “U.S.A.” as the flag came down. “South Carolina taking down the confederate flag — a signal of good will and healing, and a meaningful step towards a better future,” President Barack Obama tweeted on Friday. A festive air permeated the scene in Columbia, South Carolina, Friday morning, centered around the two blocks closed to traffic around the Capitol building. The divisive symbol now heads to the Confederate Relic Room and Military Museum nearby. 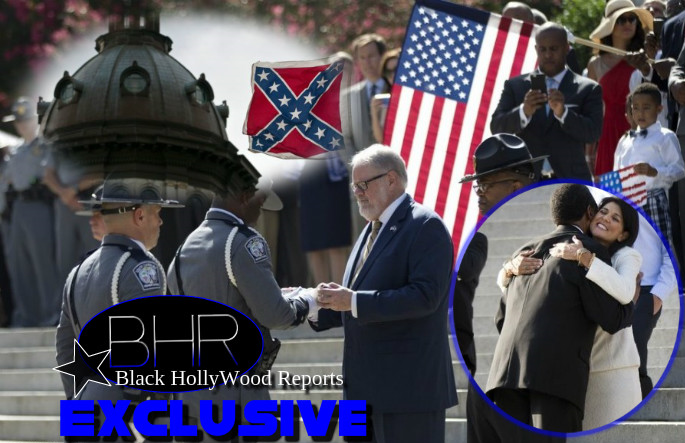 The removal of the flag comes in the wake of a shooting massacre that killed nine churchgoers, including longtime State Senator Rev. 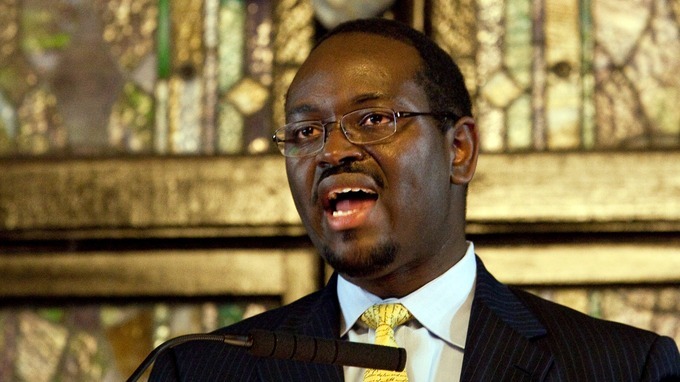 Clementa Pinckney. Episcopal Church in downtown Charleston 23 days ago. He sat with the Wednesday Bible study members, praying with them, before he opened fire. Roof, who was influenced by white supremacists, had been photographed holding the Confederate flag. The emblem’s connection to the tragedy catalyzed a movement throughout the country demanding the removal of the flag from the State House grounds. 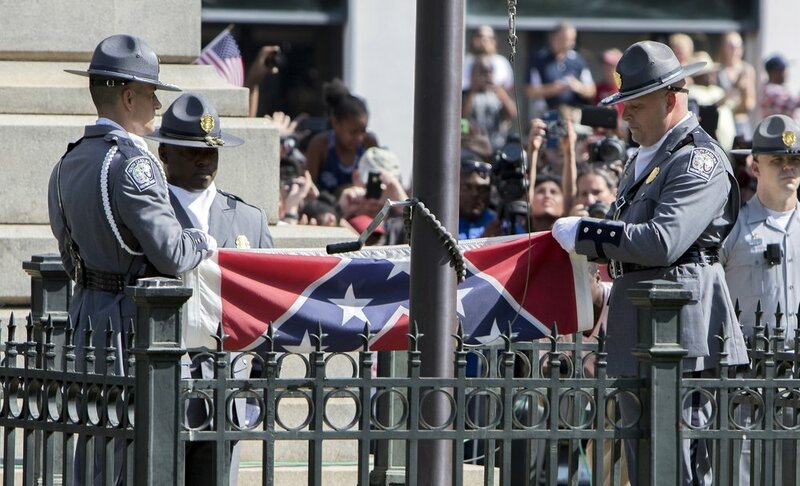 Friday’s sanctioned actions, however, represent a final turning point for the flag and closes a chapter of history for the South.